At Henkels & McCoy, Inc., we strive for every employee to return home as safely as they arrived to work. It’s our goal and daily mission that Nobody Gets Hurt! We extend our passion for safety to all aspects of our work. Safety is at the core of the way we observe behavior and communicate, investigate and develop work practices. On a daily basis, we follow a safety management system of leading and lagging indicators including coaching observation trends, work site audits, good catches, near-miss reports, corrective action follow-up, total recordable incident rates (TRIR) and days away, restricted duty and transfers (DART) rates. Using these indicators, we perform trend analyses and program validation of our safety performance. Should an incident occur, we quickly identify the root causes, whether a result of the environment, mindsets or safety systems, and develop corrective practices. Between 2008 and 2016, our employee injury rates have decreased by 63%, which means that more than 1,800 employees have stayed safe as a result of our overall safety effort. In April 2016, DuPont Sustainable Solutions conducted a safety perception survey with more than 3,500 employees. This marked our third employee safety perception survey performed since we began our safety journey. Our participation rate ranks among the highest of all companies surveyed by DuPont. Data show Henkels & McCoy to be above average in the execution of our safety management systems (vs. industry peers). In 2004, we joined the Occupational Safety and Health Administration (OSHA), the IBEW, industry groups (EEI, NECA) and several other contractors in founding the ET&D Strategic Partnership – one of only a few strategic partnerships between employers and OSHA. 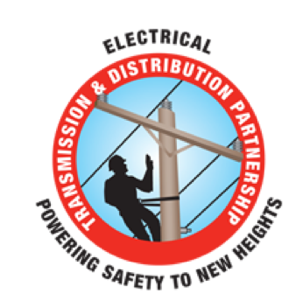 The Partnership's goal is to reduce worker fatalities, injuries and illnesses in the electric line construction industry. The Partnership is a huge success, and membership has grown to include approximately 80 percent of the electrical transmission and distribution industry. As a result of the Partnership, the industry implemented an OSHA-approved T&D 10-hour training program for electrical power employees and a Supervisory Leadership Program known as the ET&D 20-Hour Program. We train all supervisors and managers (in all lines of business) using this program.